To Register for CE Classes, please download and complete the form below and return to info@brown-kortkamp.com. 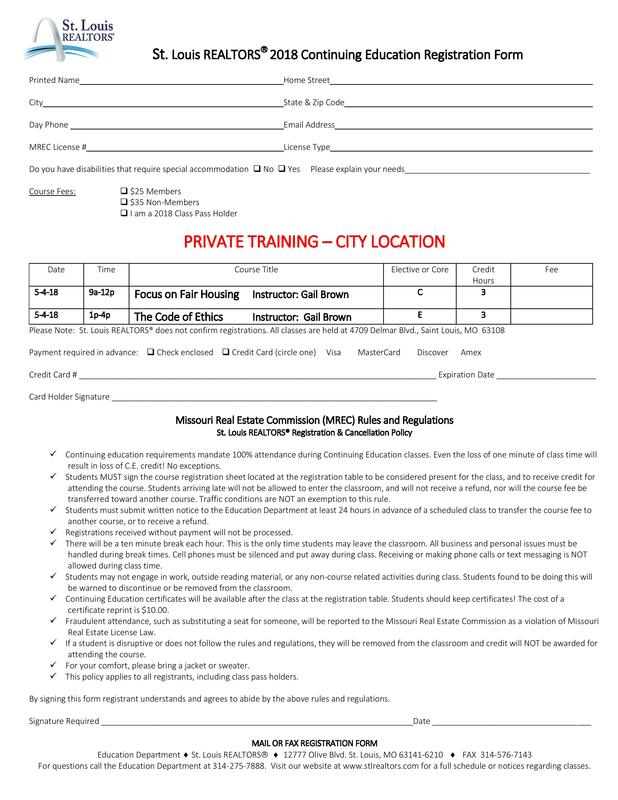 If paying by check, please make check payable to St. Louis Realtors. Form and payment must be received at Brown-Kortkamp's office by Friday 4/27/18.